A review of James E. McGoldrick, Luther’s Scottish Connection, Cranbury: Associated Universities Press, 1989, reprint, Birmingham: Solid Ground Christian Books, 2007. Paperback. 141 pages including a bibliography and an index. The idea that Martin Luther had anything to do with John Knox or Presbyterianism may at first seem odd. 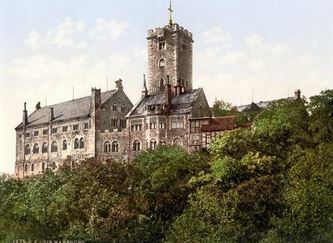 After all, Knox was influenced by John Calvin and his Geneva, and he then planted the seed of the Presbyterian Church in Scotland cultivating it into the Kirk that would become identified with his homeland. 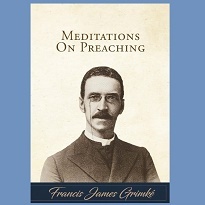 Before the seed could be planted, the soil had to be prepared, and James E. McGoldrick contends that the ground was tilled by the ministry of those who were influenced by Martin Luther. The author’s purpose is “to identify the most prominent Scottish Lutherans and to relate the roles they played in the first phase of Scotland’s Protestant history” and give church history aficionados a single source for the story of early Lutheran influences in the land of tartans, kilts, and dirks (5). The book is attractively packaged with a slick cover bearing a reproduction of Lucas Cranach’s color image of the German monk painted in 1527. The body of the book is brief occupying ninety-one pages, with an additional thirty-four page appendix containing Patrick’s Places, while the annotated bibliography and index fill the remaining leaves. Following the prefaces to the first and second editions and the author’s acknowledgements, there are five chapters titled as follows: “Scotland in the Middle Ages,” “Scotland in the Renaissance,” “The Rise of Scottish Protestantism,” “Scotland’s Earliest Protestants,” and “Conclusion.” The book is handy, brief and provides the basic information one might like to obtain for an introduction to the early work of Protestantism in Scotland. Dr. McGoldrick’s earlier book, Luther’s English Connection, 1979, followed the influences of Luther in England with particular emphasis on the contributions of Robert Barnes and William Tyndale. With respect to Barnes and Tyndale, Dr. McGoldrick concluded that they conveyed Luther’s thought to England while incorporating some variations of their own. For example, one variation the author mentioned is that both Barnes and Tyndale held to the “didactic use of the divine law in the Christian life” (199). 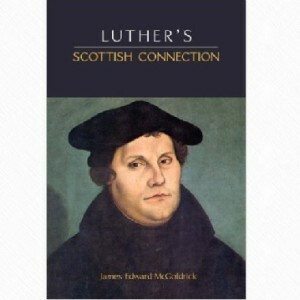 The import of this for Luther’s Scottish Connection is is that the author finds Tyndale to be a significant influence in the early years of Protestant thought in Scotland. Tyndale’s English New Testament, says Dr. McGoldrick, was read by literate, educated Scots and by the middle of the sixteenth century there “were no major obstacles in written communication between Scots and Englishmen” (20). Thus the wee man Tyndale, who was one of the early beacons of reforming illumination, was able to influence Scotland with Lutheran ideas as well as his own thoughts. 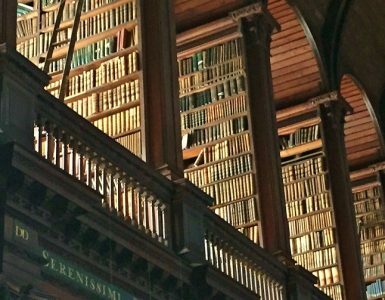 Maybe Dr. McGoldrick should consider taking the English and Scottish connection books and fuse them into a single more substantial volume that would follow the influence of Tyndale in both lands and provide a more unified picture of the extent of his influence. Luther’s Scottish Connection dedicates a considerable portion of its text to the brave and tragic reformer, Patrick Hamilton, who died at the young age of twenty eight and became a martyr of the Scottish Reformation. Hamilton had spent time on the continent where he was influenced by Erasmus and John Major, but most important for the purposes of Dr. McGoldrick’s book was the influence of Martin Luther. Through the encouragement of Francis Lambert, Hamilton wrote his Dyvers Frutful Gatheriges of Scrypture, which John Frith translated into English as Patrick’s Places. Dr. McGoldrick’s book provides a copy of Patrick’s Places, which is helpful because a reading of Hamilton’s text shows the influence of Luther’s thought. Dr. McGoldrick believes that Luther’s The Freedom of the Christian, 1520, is particularly present in Patrick’s Places, along with Philip Melanchthon’s Loci Communes, 1521, and Tyndale’s The Parable of Wicked Mammon, 1527 (49). Patrick left the continent and returned to Scotland where he married and then after a brief time was tried and found guilty of heresy by Archbishop James Beaton of Glasgow. Patrick Hamilton was burned at the stake February 29, 1528. James McGoldrick’s book accomplishes its purpose in providing the reader with a succinct and handy telling of the influence of Luther in Scotland and the background leading up to the entry of John Knox. When George Wishart entered the Scottish Reformation picture, around 1544, Dr. McGoldrick contends that Scottish Protestant thought began its turn from the teaching of the Wittenberg monk to that of Calvin and Zwingli (87). McGoldrick believes it could well be that Wishart’s translation of the First Helvetic Confession of Faith into the Scottish dialect in 1536 aided the supplanting of Lutheranism and the propagation of Swiss reforming ideas (87). Those interested in learning about the Scottish Reformation, before John Knox and his Presbyterian polity came to dominate the scene, will find Luther’s Scottish Connection a helpful, brief and easy introduction to this forgotten aspect of the Scottish Reformation. Two helpful reference books for the study of Scottish history are the Collins Encyclopedia of Scotland, edited by John and Julia Keay, 1994, which provides general information about Scotland and its history, while church historians will appreciate the indispensable Dictionary of Scottish Church History & Theology, edited by Nigel M de S. Cameron, David F. Wright, David C. Lachman, and Donald E. Meek, 1993. David Daniell’s book, William Tyndale: A Biography, Yale, 1994, is very helpful for learning about the life and work of this highly influential personality. NOTE–This review was copied to this site from its original posting by the author on Green Baggins dated April 9, 2008, 11:19 AM.